You’ve probably heard of making garden cocktails. But what about making cocktails from foraged plants, seeds and berries? 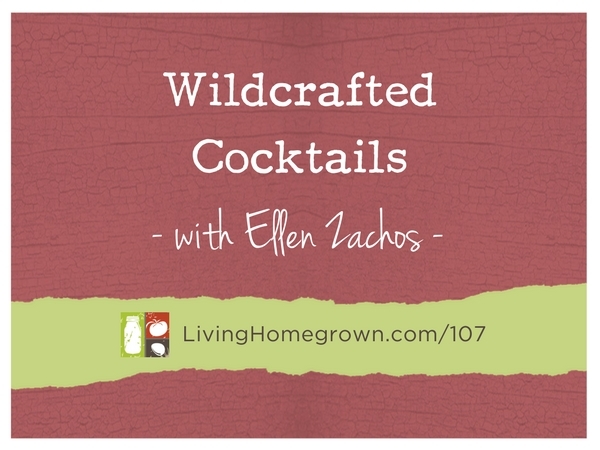 Well forage expert Ellen Zachos shares all we need to know about creating delicious and spirited drinks from wildcrafted components. 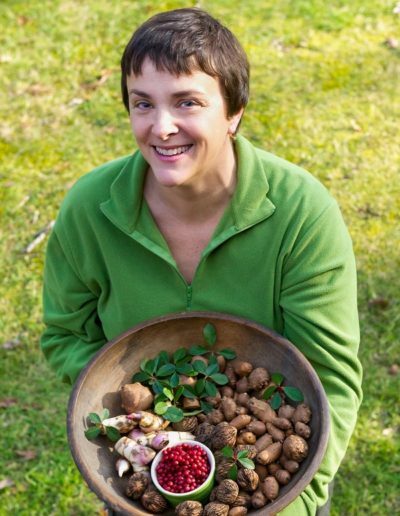 Ellen is Harvard graduate, garden author and a well-known expert on foraging – both out in nature and in your own backyard. 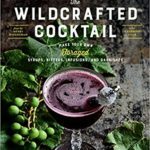 Ellen has written several books, including: The Wildcrafted cocktail, Backyard Foraging: 65 Familiar Plants You Didn’t Know You Could Eat, Orchid Growing for Wimps, and Growing Healthy Houseplants. Ellen leads forage walks, gives lectures and conducts foraged mixology workshops all over the country. If you ever see her listed in your area, be sure to go! She is super knowledgable AND entertaining! Always be absolutely certain of a plant’s identity before consuming. Many toxic and poisonous plants look similar to the safe varieties. You must be careful and not assume everything is safe until you have it properly identified. So I recently started listening to your podcast and I’m addicted! Great podcast and very valuable information. I tried making the milkweed flower simple syrup and I’m so glad I did! Some wild crafted cocktails are most definitely in my future. Can’t wait to share this syrup and podcast with friends. Thank you!